Our collaborative wastewater garden project Eden in Iraq opened at the National Design Centre on October 6th in Singapore. The exhibiton documented thus far our 4-6 year research and design process short of building the wastewater garden. Selections from my photographic and video art accompanied the installation. My new book Eden Turned on its Side (University of New Mexico Press, forthcoming February 2018), had a pre-publication preview and book signing. 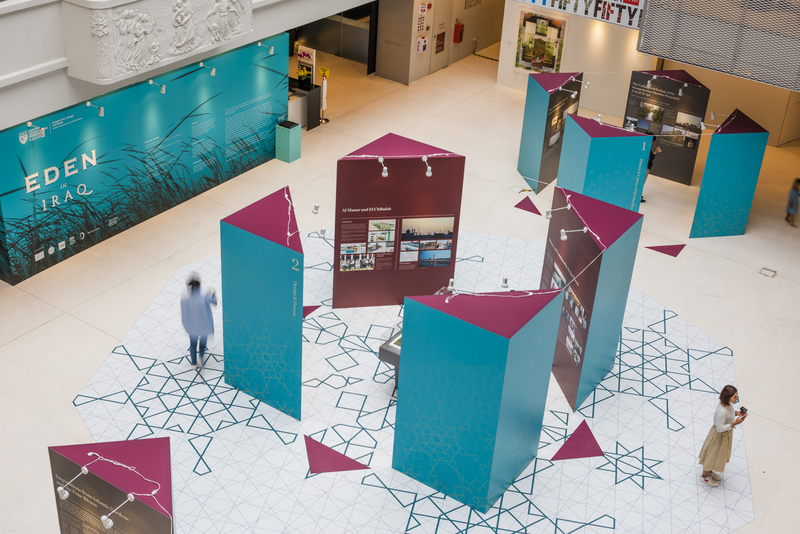 Eden In Iraq is an interdisciplinary, environmental art and design exhibition tracing the evolution of the wastewater remediation project in the marshes of southern Iraq near the historic site of the Garden of Eden. We used environmental art, design, and wastewater to create a restorative wastewater garden for cultural memory, education, and shared social space. 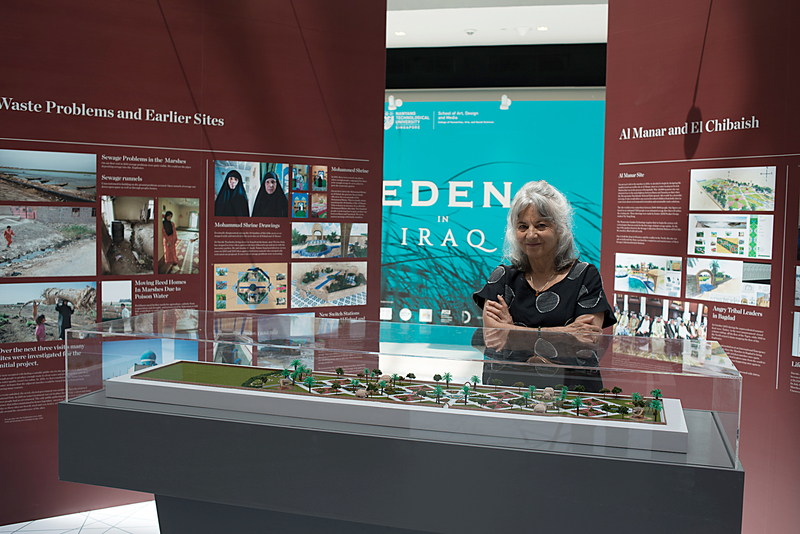 Drawing on Islamic and Mesopotamian traditions originating in this historically and symbolically charged region, the Eden in Iraq Waste Water Garden was designed to be a syncretic container for ecological and cultural restoration. Prof. Meridel Rubenstein – artist/photographer, School of Art, Design, and Media, Nanyang Technological University, Singapore. Prof. Peer Sathikh – industrial designer, School of Art, Design, and Media, Nanyang Technological University, Singapore. Dr. Mark Nelson – environmental engineer, Institute of Ecotechnics (U.K., U.S.). Dr. Davide Tocchetto-environmental engineer and agronomist, Wastewater Gardens International, Italy. Prof. Sander van der Leeuw – archaeologist and complexity scientist, School of Sustainability, Arizona State University, USA. Jassim al Asadi – engineer, Managing Director, Nature Iraq, NGO, Chibaish, southern Iraq. For more information about the project and photos from the exhibition, click here.